For over 30 years, Postman Pat, together with Jess, his black and white cat, has been delighting audiences around the world with his adventures as he delivers the mail in the idyllic village of Greendale. POSTMAN PAT: The Movie is the first feature-length film starring the beloved postman from the long-running British children’s series. This all-new film finds Pat center-stage as a contestant in a televised talent show competition. Will success and fame tear him away from his hometown of Greendale and the friends he loves? Can Pat foil a sinister plot to replace him with legions of Patbot 3000 robots destined to take over the world? Only Postman Pat can save the day. Postman Pat was a hit in my house. My son absolutely loved it. We had never seen any of the Postman Pat shows before, so I didn't know how my kids would take to the movie, but I have to say the kids enjoyed it. My daughter loved seeing the auditions in the talent show and she loved when it was Postman Pat's turn to sing. My son thought the Postman Pat robots were hilarious at when they were talking and how they delivered the mail to the residents in the town. It didn't turn out right, which is what my son thought was hilarious. It was great to see that even with fame, Postman Pat would still put his town first. This is a great adventure movie for the entire family to enjoy even without being familiar with the show. Disclosure: All opinions are my own. I received Postman Pat: The Movie on DVD at no cost for the purpose of this review. No other compensation was received. 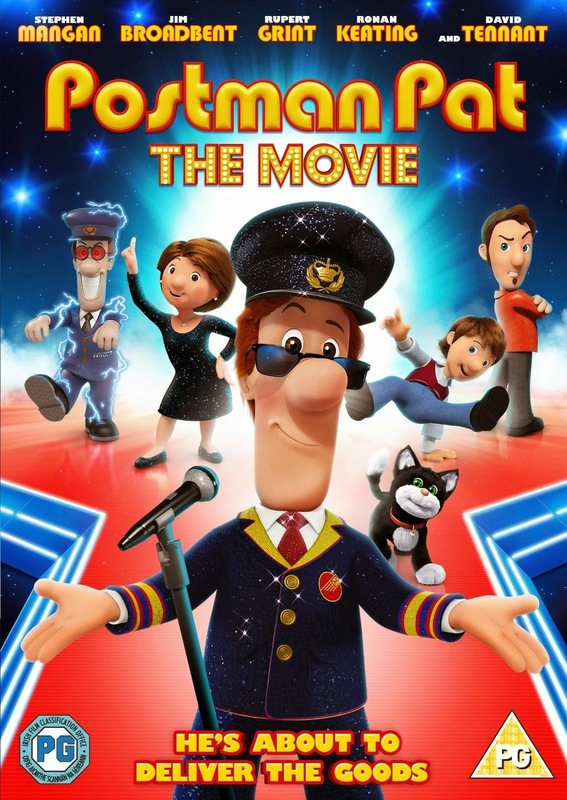 Postman Pat is now out on DVD for you to enjoy and I'm happy that we get to give out two copies to our Just Us Girls readers, both in the US and Canada can enter, woot!